As the heads of state gathered for the retreat and the closing ceremony of the 17th summit of the South Asian Association for Regional Cooperation (SAARC) held at different venues at the Addu atoll, it was the headgear and clothes that reflected the unique South Asian identity that Prime Minister Manmohan Singh had hoped they would be able to forge. Afghan President Hamid Karzai wore his characteristic karakul tilted at a rakish angle. The newly anointed Nepal Prime Minister Baburao Bhattarai came with his Nepali topi and seemed overwhelmed by the occasion. Manmohan Singh wore his favourite blue turban. Bangladesh Prime Minister Sheikh Hasina was dressed in an intricately woven sari with the pallu covering her head. Sri Lankan President Mahinda Rajapaksa preferred a white vesti with a maroon scarf slung across his kurta for the closing ceremony and a brightly designed floral shirt for the retreat. Bhutan Prime Minister Jigme Thinley wore a colourful gho - the traditional Bhutanese ceremonial wear. Only Pakistan Prime Minister Yousuf Reza Gilani, who had to leave before the ceremony ended, and Maldivian President Mohamed Nasheed stuck to business suits that the region’s erstwhile colonial master favoured. In its 26th year, SAARC is finally taking the shape of a cohesive grouping of nations willing to cooperate in key areas to boost their economic clout. The Addu Declaration that the leaders agreed upon focused on the theme of “Building Bridges.” The leaders committed to work towards a huge boost in intra-SAARC trade, improving air, rail, motor and water transport connectivity between member countries and putting their heads together to solve common developmental concerns. (see box for highlights) Four agreements were also signed that included a rapid response mechanism to deal with natural disasters, an agreement to establish a SAARC Seed Bank and two agreements on harmonising regional standards for goods and products. Sensing the mood, India, the main driver of the grouping, decided to accelerate the pace by being magnanimous. At the summit, Manmohan Singh announced that in a major effort to liberalise trade in the region, India had issued a notification to reduce the sensitive list under the South Asian Free Trade Area Agreement (SAFTA) from 480 tariff lines to just 25 for the five Least Developed Countries (LDC) of the region - Nepal, Bhutan, Afghanistan, Bangladesh and Maldives. He said that zero basic customs duty access will be given to all items removed with immediate effect. Ever the economist, Manmohan Singh reminded the leaders that the summit is taking place when the global economy is under acute stress and recessionary trends being faced by most developed countries. He warned that developing countries would be squeezed for capital, investments and markets for their exports. 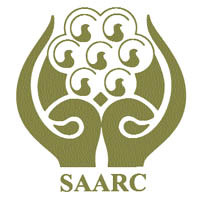 It was apparent that SAARC had reached a crucial tipping point in its 26-year-old existence. For most of its developing years, SAARC had become a forum for India bashing by its smaller neighbours. But with India’s spectacular economic growth in the past decade, the member countries now realise that its own boat could be lifted by the rising tide caused in the wake of its giant neighbours success. The SAARC region straddles the Indus plains, the Gangetic delta, the high Himalayan mountains and the low lying islands of the Indian Ocean. Each of the countries have comparative advantages that if synergised could benefit all immensely. Bhutan and Nepal are endowed with hydropower. Afghanistan and Pakistan have the possibilities of earnings from transit as does Bangladesh. Maldives can tap its rich marine resources. The main reason why SAARC has met with only moderate success is that it has tried to do many things that has resulted in somewhat diffusing its focus. Experts feel that it should focus on key areas such as trade liberalisation and making SAFTA a reality, improving connectivity through transport by having air, rail and motor vehicles agreements and taking steps to enhance agricultural productivity and ensuring food security. The Addu declaration rightly emphasises these priorities and needs to be urgently implemented. n Intensify efforts to fully and effectively implement the South Asian Free Trade Areas (SAFTA) agreement and work on reduction in Sensitive Lists as well as early resolution of non-tariff barriers and expediting the process of harmonizing standards and customs procedures. n Direct SAARC Finance Ministers to chart a proposal that would allow for greater flow of financial capital and intra-regional long-term investment. n Conclude the Regional Railways Agreement and convene the Expert Group Meeting on the Motor Vehicles Agreement before the next Session. n Ensure completion of the preparatory work on the Indian Ocean Cargo and Passenger Ferry Service, including the Feasibility Study, by the end of 2011.
n Direct the conclusion of the Inter-governmental Framework Agreement for Energy Cooperation and the Study on the Regional Power Exchange Concept as also the work related to SAARC Market for Electricity.